Global relocation services have never been more important to corporations on the move. Investing in talent management ensures companies the ability to reach a talented workforce with global experience and skills. Corporate global relocation services for international companies in today’s competitive environment need to be customized in their approach to modern workforce mobility challenges. Global Mobility Solutions designs and optimizes global relocation services and programs through competitive benchmarking and workforce mobility best practices. Global Mobility Solutions uses a consultative approach to corporate global relocation services, delivering programs customized to fit your organization’s global talent management needs. Customize and maintain a standardized global delivery solution with a common measure for quality. Utilize tools and resources designed for regional or country-specific service delivery nuances. Provide a consultative approach with built-in cost and best practices initiatives. Develop effective performance standards related to relocation administration. Develop a competitive and cost effective global mobility program based on our robust and customizable global relocation services. Provide access to our library of global spotlights that are designed to help your company familiarize relocating employees with the host country. Fully-customized spotlights are available on request. Global Mobility Solutions was ranked first in the industry for breadth of global relocation services and has been named one of the world’s top relocation companies in HRO Today’s “Baker’s Dozen” for the last five years in a row. Our services include all facets of policy/process creation and implementation, which include designing a customized communication plan and educating employees on new policies and processes. GMS has built a policy database which houses thousands of data elements to derive best practice considerations by industry, location, and mobility offerings. Combining this substantial database with our vast industry experience and the GMS Premier Alliance Network™ enables our Global Consultants to conduct thorough reviews of every aspect of your program. Using proven benchmarking tools, our team will compare your current policy with the programs your competitors might be offering and ensure that your policy is utilizing time tested best practices. GMS Six Sigma Black Belts and Global Consultants will help identify and quantify mobility cost for comparison with other best practice programs, as well as provide savings and cost containment recommendations. Group moves (10 or more) require proven expertise. GMS Consultants, under your direction, will manage a defined and tested process to identify, develop and implement group move solutions. We leverage our significant network of suppliers, and manage every step of the global relocation process to ensure the best possible relocation program is implemented. Documentation enhances every aspect of your operation; increasing performance, supporting maintenance and operation, reinforcing training, optimizing quality, and ensuring your satisfaction. GMS has over 20 years of experience designing and implementing mobility related documents and tools. Our rigorous quality assurance processes, ensure your documentation is promptly and accurately developed, then sanctioned and approved. Customization of realistic and relevant situations based on in-depth needs analysis, covering leadership competencies, motivation, values and learning potential across different work situations. All simulations are delivered by expert psychologists and diverse assessor teams. GMS’ candidate selection program predicts whether the global assignment will be a success or a failure by focusing on the critical global competencies. Helps your assignees prepare and get a better feel about a potential global assignment. A visit scheduled for your assignees designed to simulate daily life in the host country, provide information on key areas of interest and highlight available accommodations. GMS will coordinate the trip with our local providers and coordinate itinerary to ensure the pre-assignment visit is a successful one. Calculates all costs associated with the employee’s move, from pre-departure through repatriation, including all relocation services, fees, travel and direct provider costs, taxes, cost of living and salary, as applicable. Comprehensive consultation with the relocating family and follow-up with a focus on general school and education issues of most concern to relocating families. Coordinating the analysis of selected global candidates for cultural adaptation assessments, specific to key characteristics and personality traits. With GMS relocation services, each assignee will have a dedicated Global Assignment Manager (GAM) who will conduct a comprehensive needs-assessment; determining the assignees’ needs within the realm of their policy. The GAM offers assistance with all of the services provided and acts as the single point of accountability for the entire relocation. They will act as the coordinator of all of the services and manage the providers along the way. The GAM will also be the point of contact for your company pertaining to any and all updates regarding the assignees. They offer exception management and best practices within their coaching sessions with the assignee and always have cost containment in mind when managing each individual assignment. GMS will provide organization and collaboration of client documentation and manage the entire visa and immigration process. 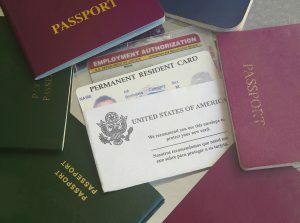 Upon request, we can track and obtain visa renewals, extensions, and cancellations, as well as assist the employee and family members in obtaining/ and or canceling work permits, residency cards, visas, and registrations at appropriate consulates. GMS manages these valuable programs, which have been proven to help reduce the risk of failure in global assignments. There are many program options available in both home and host location. Language and culture preparation can help smooth the transition for the entire family. GMS provides an education specialist to help determine your children’s needs to find the most suitable schools. The assignee can focus on the new position with the assurance that their children are securely placed in a school that meets their particular skill set and needs. The Global Assignment Manager will work with the home-finding provider to help the assignee in finding the right place to call home during their assignment. In addition, the on-the-ground consultant provides the assignee with an overview of the neighborhoods to aid in narrowing the selection process. The destination consultant will actively participate in setting up appointments with landlords, local properties and agents to ensure a wide, ambiguous variety of housing for each assignee. They offer local guidance in lease negotiations and any client specific details which need to be included in lease contracts. Additional assistance is also provided for walk-through procedures and to ensure the assignee understands the lease and move-in details. GMS will manage the provider enlisted to help with the assignees spouse or partner to settle into the host country. This program has many levels of assistance, but overall assists in guiding the partner with valuable networking, resume building and work or volunteer activities. The success of the assignment often times is dependent on how happy the spouse or family is while on assignment. Our first in class providers can offer the spousal assistance which can increase the success rates of the assignments. GMS Global Assignment Manager (GAM) will help determine the most cost effective options for corporate housing in the home or host location. The GAM will also work with the assignee and the client to determine the best choice. Our provider’s offer many options to fit within any budget. One of the most difficult things about moving globally is the lack of established credit, which causes problems with purchasing a vehicle. GMS will provide assistance through our preferred provider with the lease and/or purchase of an automobile. This service will help your assignee save time and resources by beginning the process prior to arriving in the host country. GMS manages and provides consultation on the exit procedures from the host country. We work with local destination consultants to assist with country specific departure needs such as; lease terminations, deposit recoveries, refurbishment assistance, arranging cleaning services, assistance with termination of utility accounts and local memberships, and help with cancellation of any local registrations. We also work with cultural training providers to offer repatriation training to the assignee and their family to reintegrate back into their home culture. This program also offers services such as pet and household goods transportation, and delivering household goods out of storage.